JUNK HAULING service from Green Clean Junk Removal Ventura, CA is known not only for effectiveness, but also for reliability. We offer same day and fast on time service. Our junk hauling professionals are truly committed to providing you with the most convenient service in the area. With free estimates and emergency services also available for all of our junk haul requests, you won’t find customer service like ours anywhere else in Ventura and LA county areas or beyond. Green Clean Junk Removal Ventura! Green Clean Junk Removal Services provides junk removal and hauling services to every part of Ventura, California. We provide fast service, professional drivers, and affordable rates. Green Clean Junk Removal Services does all the work. All you have to do is point. Ventura, California (officially named the City of San Buenaventura) is the county seat of Ventura County. Ventura is renowned around the world for its primo surf. On any given day you will see dozens of surfers riding the waves just off the coast. Downtown Ventura is home to the mission district with miles of fabulous shopping and dining. Green Clean Junk Removal Services is proud to serve the city of Ventura. Green Clean Junk Removal Services provides trash removal and garbage pick up for Ventura, California and the surrounding areas. Green Clean Junk Removal Services is proud to play a role in keeping this iconic section of California clean and trash free. Green Clean Junk Removal Services also offers junk removal in Ventura, California. Green Clean Junk Removal Services provides fast, friendly junk removal. We can haul away both household junk and construction debris, and anything in between. 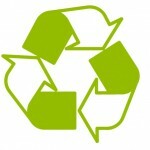 Green Clean Junk Removal Services in Ventura also offers a complete range of clean out services. Our junk removal pros can clean out a garage crammed with clutter in a matter of hours. Our friendly junk haulers can quickly clean out a backyard littered with yard debris. Green Clean Junk Removal Services can also help clean out storage units and office spaces. Green Clean Junk Removal Services in Ventura also has a great hauling service. Whatever you need hauled away Green Clean Junk Removal Services can haul it away cheaply and quickly. Green Clean Junk Removal Services offers bulky item pick up for Ventura, California as well.